These conveyers are often used with hopper feeders to provide a complete automatic feed system. 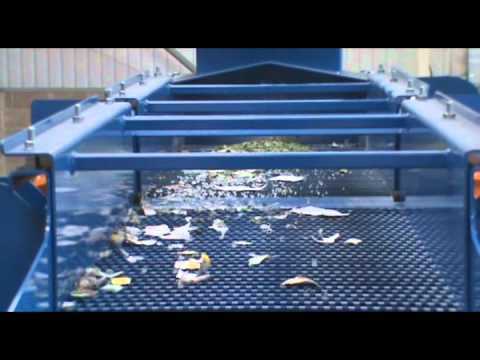 Feed conveyors can shred or clean material as the first step in manufacturing biofuel process. 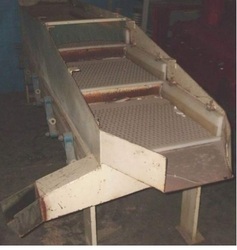 These conveyors are usually equipped with belts, chains and rollers that help move the raw material. A screener is a vibrating piece of equipment used for applications where materials are being processed in large volumes. A screener is designed to screen, scalp, dewater, or separate dry or wet material using a wide variety of screening media. The screen, usually made of wire mesh, comes in different sizes to accommodate different jobs. The entire machine vibrates in a circular motion to work material through the screens and separate impurities. 1. 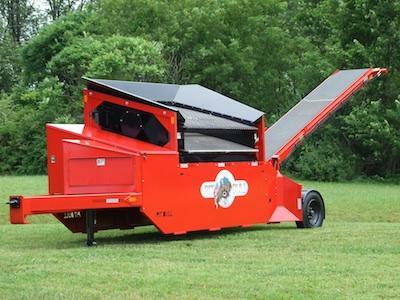 "Lake Erie Pitbull 2300 Portable Screener." Construction Equipment: Heavy Equipment Reviews & Information. N.p., n.d. Web. 12 Dec. 2012. http://www.constructionequipment.com/lake-erie-pitbull-2300-portable-screener. 2. Reed, Paul, and Shereen Skola. "What Is a Feed Conveyor?" WiseGeek. Conjecture, n.d. Web. 12 Dec. 2012. http://www.wisegeek.com/what-is-a-feed-conveyor.htm. 3. Watts, B. D., and R. M. Webb. In Process Materials Handling. London, England: Institution, 1978. Print.